In Remind Me How This Ends, the author of The Intern, Gabrielle Tozer, swaps the high-pressure world of the fashion industry for a quieter and more introspective story about love, grief and memory. After completing year 12, Milo Dark is stuck in limbo. While his mates and long-term girlfriend have moved away for university, Milo himself is rudderless—living at home with his parents, working at the family bookshop, and ambivalent about what happens next. Layla Montgomery is similarly lost. Her father, unable to deal with his grief after Layla’s mother died unexpectedly, packed the two of them up and left town in the middle of the night. Separated from everything that she knew and loved, including her best friend Milo, Layla struggles to find her place in the world. Over the course of one bewildering summer these two childhood friends on the cusp of adulthood rediscover one another, and together find the strength to explore their shared histories and uncertain futures. 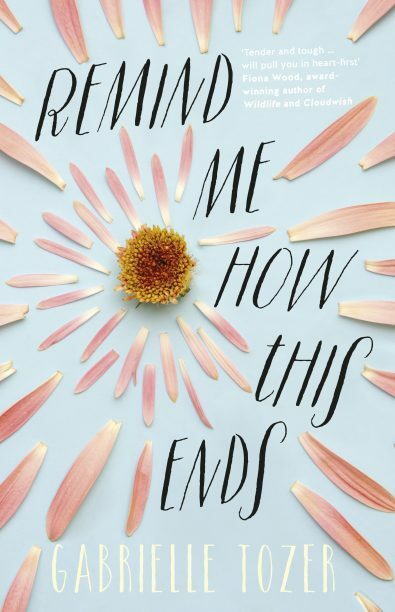 Remind Me How This Ends is a complex and convincing novel that doesn’t pretend to have easy answers, but offers an authentic and sympathetic pair of characters who prove that it’s OK to make mistakes and it’s never too late to fix them. It’s recommended for readers aged 14 and up.